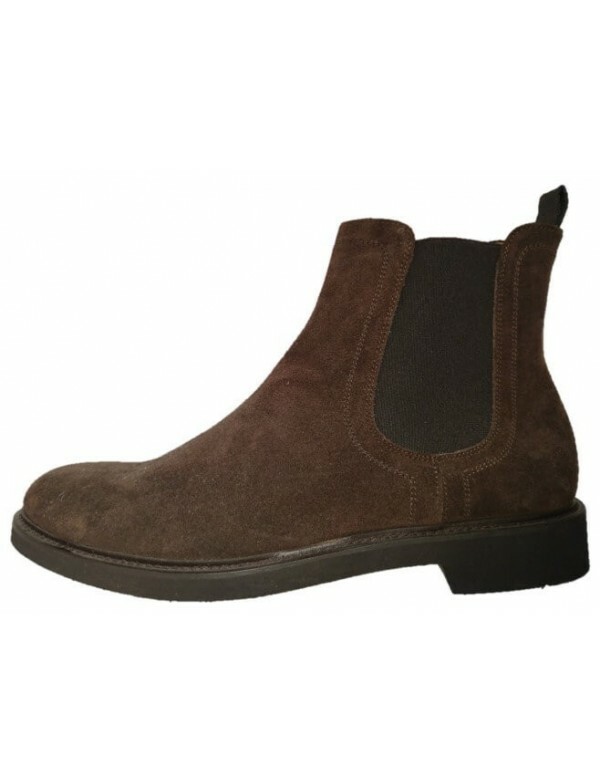 Brown suede leather Chelsea ankle boots, with leather lining. 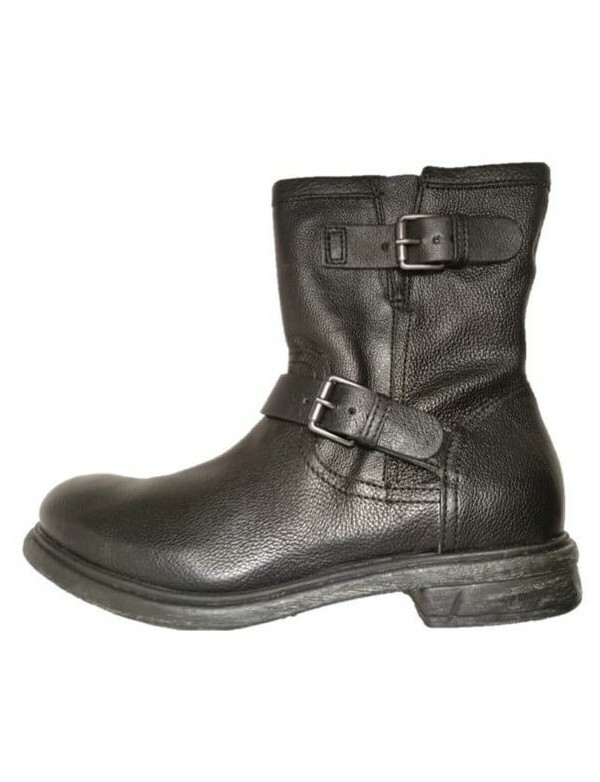 These pull on ankle bptsd are made in casual fashion. 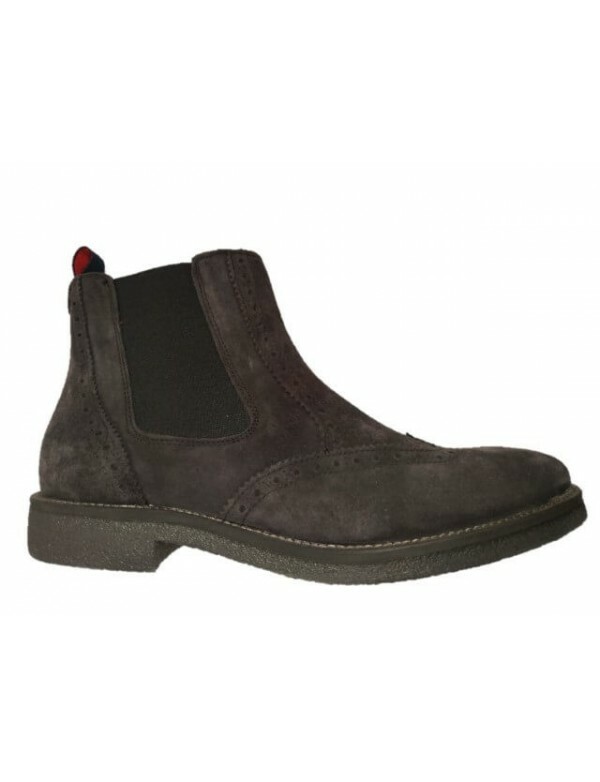 The style is a Chelsea, but with a flexible rubber sole, with the result of a very casual Chelsea ankle boots, that can be used also for the office. 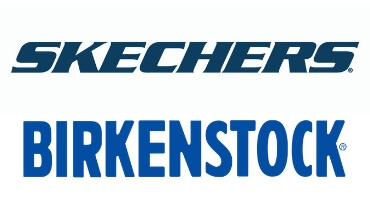 These shoes are very easy to match with any everyday outfit and color, and they are waterproof and comfortable. Frau shoe brand is known for the comfort of its shoes. 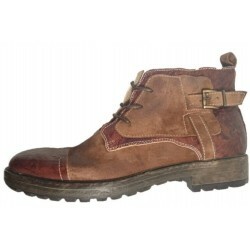 These shoes are very comfortable thank to the very soft leather, to the lining in leather. The shoes are water resistant. 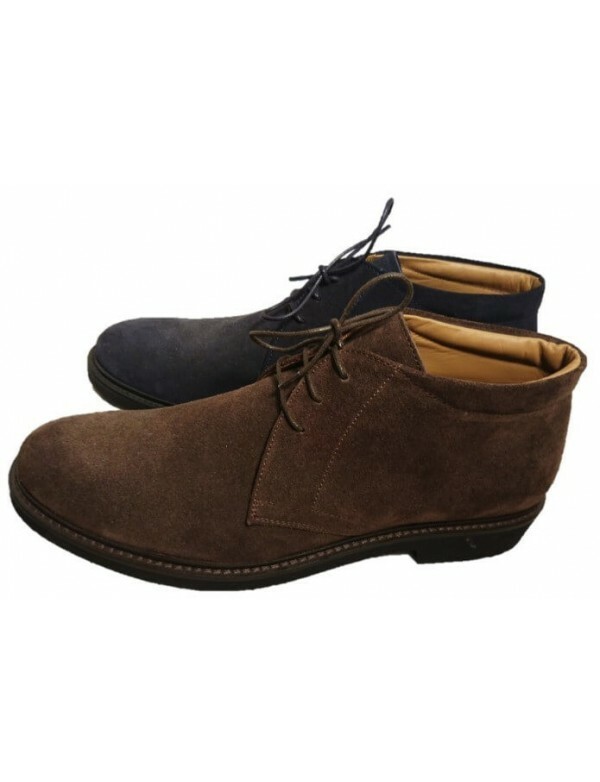 The shoes are available in pepper brown color, as shown in picture.